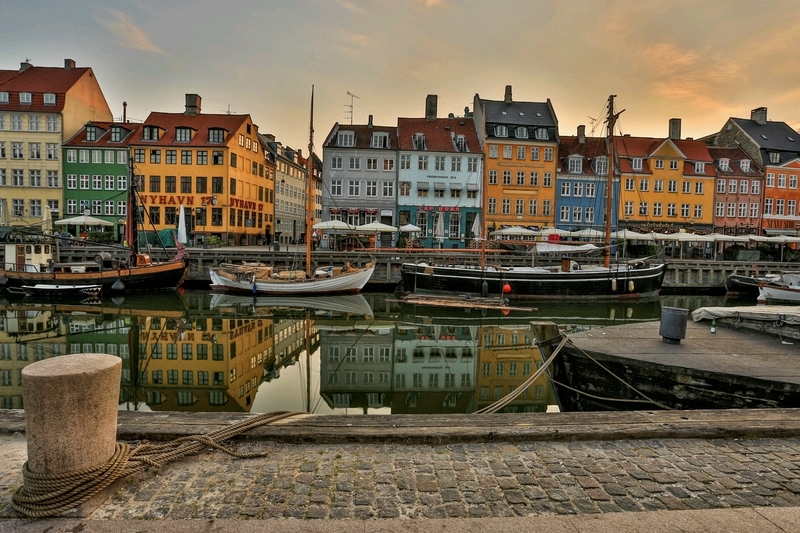 Copenhagen is the capital city of Denmark, and travelers find it incredibly charming. For historical interest, explore the streets of Christianborg and Amelienborg palaces. Leisure seekers can stroll the streets or lounge in the cafes of Stroget. 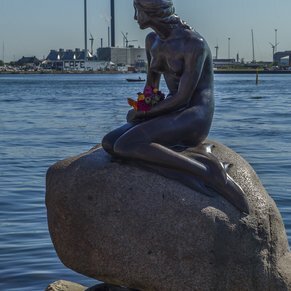 Visit Tivoli Gardens, too, and don't forget to see the statue of the Little Mermaid, a tribute to Hans Christian Andersen. Spent one night in Copenhagen before the cruise, stayed at Absalom hotel near Central Station, took the train there from airport, was very easy. 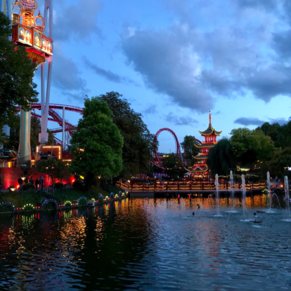 Went to Tivoli Gardens - very enjoyable! Stayed at the Admiral hotel for one night after cruise, near Nyhaven, great hotel and location, walking distance to Little Mermaid, Amalienborg castle for changing of the guard, Rosenborg castle to see the crown jewels, and a little shopping on the Stroget - a packed day but well worth it! Beware of the taxis in Copenhagen if paying with a credit card - they will tell you the internet is down and if you don’t have Krona they will accept other currencies, calculate the exchange rate for you and add a hell of a lot on the fare for the trouble. Our family of six stayed in Copenhagen prior to and after our cruise of the Baltic’s. What a wonderful city! The people were so friendly and easily spoke to us in English (really motivated me to try to learn Danish). The city is visually stunning. Public transport and the walkability of the Copenhagen made for fun hassle free sight seeing and dining. A little tip if cruising out of this city AC Bella Sky and the Crowne Plaza have shuttles to and from the airport and to and from the cruise port for a fee. Spent a couple of day’s here to get over jet lag before embarking. Best decision of the trip, I got over jet lag but also loved Copenhagen, Denmark. Probably one of my favorite stops on the trip. The boat tour was excellent. The problem here was that the time we spent waiting for other groups to fill up the boat meant a somewhat rushed trip through Tivoli Gardens (especially as we were very hungry by then and stopped to eat.) and again a trip directly back to the ship without any time to experience downtown Copenhagen. 3 of 24 shore excursions in Copenhagen, Denmark. There are currently 12 discussions about Copenhagen, Denmark.